Hope everyone has a great turkey day!!! This is the wool applique table runner I started working on last year. This is from one of the Need’l Love books that features fall patterns. 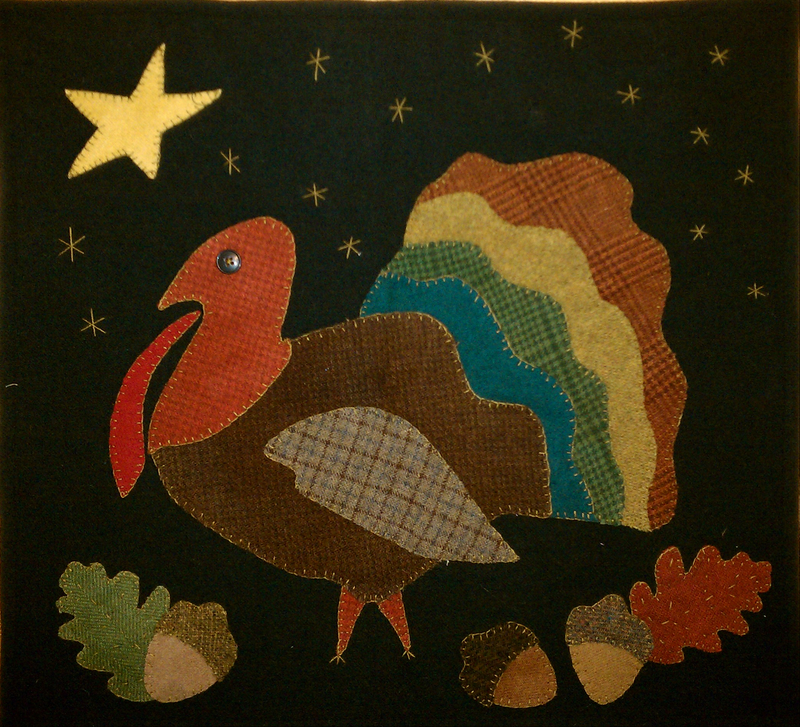 I added acorns and oak leaves for that extra touch. This guy wanted to have his picture on the blog too! 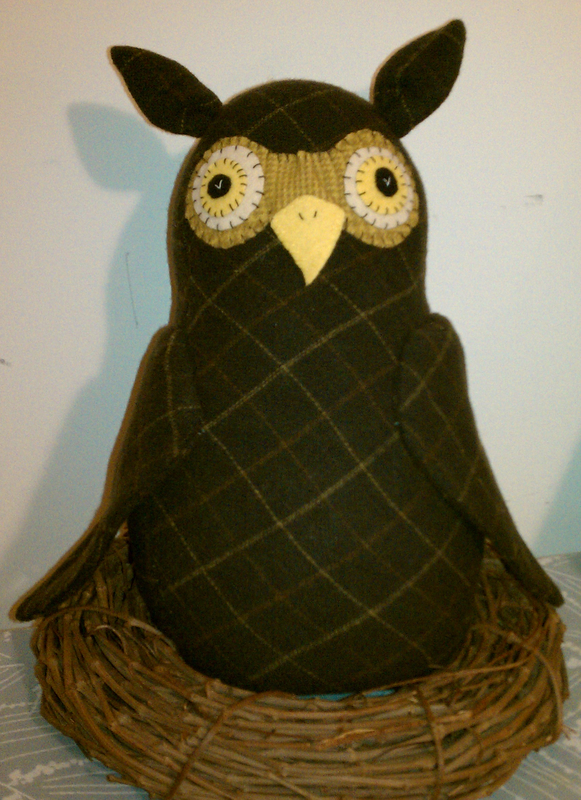 He is the cousin to the other owl I made. My son has named this owl “Fancy” and the other owl is called “Sooder” (not sure how he came up with that one!). This entry was posted in Applique, Dolls and Softies, Holidays, Wool. Bookmark the permalink. These are both so cute. I like the names too, I think he should go on the family payroll. Hahah, he doesn’t need to go on the payroll. He gets whatever he wants now – no need for money :).